Anyone familiar with Research In Motion knows that the people behind BlackBerry have been busy working on the latest version of their OS - BlackBerry 10 - for the better part of a year now. And while RIM promise that BB10 will be their ticket back into contention, it's been quite a while for them without a new release. While the BlackBerry Curve is not a part of the BB10, it represents what got RIM into the game at all: a compact QWERTY messenger with to-the-point functionality and mature design. We're as curious as you to see what RIM have been able to do with their Curve lineup over the past half year. 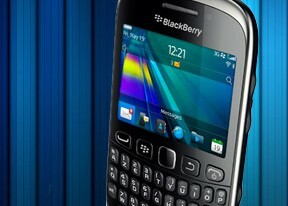 With the Curve 9320, RIM is looking to hold the fort while it gets its ducks in a row for the release of the BB10 lineup. In this case, holding the fort essentially means releasing a device with toned-down specs, which may still entice loyal users and stem the tide of their plummeting market share, if only a little. The Curve 9320 is a notch below the Curve 9360, which was released around the beginning of the year, and the specs are far from impressive. The 56K-color screen of QVGA resolution in particular fails to impress, and the fixed-focus camera has taken a cut in resolution from 5 to 3 megapixels. . Nonetheless, the Curve 9320 will find support amidst an (albeit small) group of diehard BlackBerry supporters who are looking for a familiar interface and reasonable performance without breaking the bank. Now join us as we take a look at the hardware, design and retail packaging of the BlackBerry Curve 9320. Any one able to use whatsapp on bb 9320?